Incorporating consistent, enjoyable, and meaningful opportunities for math learning into your family’s summer agenda could benefit your kids long after they bid summer break a fond farewell. Ramps up the fun factor… while ensuring that kids make progress. Summer break was made for fun and frolic, so do your child a favor and pick a summer math program that specializes in creative, effective ways to teach math; really makes concepts come alive; and allows your family to balance math learning with non-academic summer pursuits. Provides individualized instruction in a comfortable, stress free environment.Summer is the time to break free of the constraints and limitations of a traditional classroom environment. 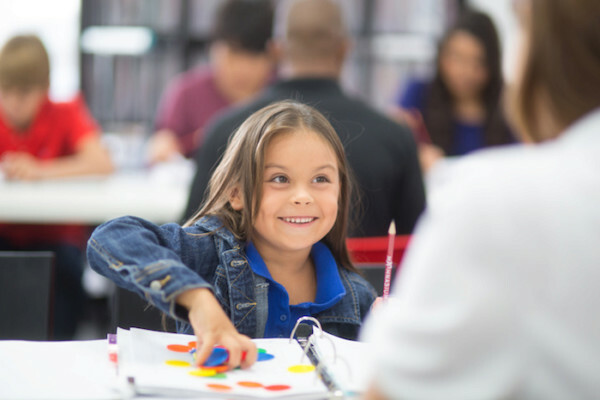 Whether your child is far behind, performing at grade level, or in need of an extra challenge, a high quality math program meets your child where they are and helps them get to where they want to be—with a smile! Emphasizes regular attendance and goal setting. Consistent learning over time is key to staving off the summer slide! A solid summer math program will help you and your child pinpoint learning goals and develop a steady plan of action to ensure progress without causing burnout. Keeps you in the loop. Program administrators should be enthusiastic communicators eager to provide you with regular updates about your child’s progress. Committing to the right summer math program can help your child start the next school year on the right foot and gain long lasting confidence and a love of learning along the way. Have a great summer!